The Teachers Observing Peers (TOP) program provides UNC Charlotte faculty members with an opportunity to observe peers representing a variety of disciplines implementing interactive methods in a live classroom setting. Whether you are an instructor who has been using interactive methods for years or are trying to get ready to teach your first class, you are likely to benefit from the classroom observation by getting new ideas for effective practice and reflecting on your own practice. Classroom observations undertaken as part of the Teachers Observing Peers Program are entirely voluntary and for professional development purposes only. The observation of a class and debriefing session you choose to participate in has no connection to the peer observation processes required by Colleges for the Reappointment, Tenure, and Promotion (RPT) of faculty. Observe with an open mind. Most of the TOP Teachers have been using interactive methods for several years in ways that work for them. You may leave a class observation with very different ideas about how you would use and implement a particular activity or technique in your own course. During the debriefing session, there will be the opportunity to discuss and reflect on if and how you might implement both general principles and specific strategies observed into your own practice. Go with an observation form. We suggest you print out at least one of the peer observation forms designed to facilitate and guide your data collection during the observation. You can use them to take notes and prepare comments and questions for the debriefing session. Plan for the debriefing session. When you select a date and time to observe a specific faculty member’s classroom, you also need to plan to stay for the debriefing session that follows the class. The opportunity to discuss with colleagues about the teaching and learning observed during the session is critical to the potential professional growth of the experience. Review the list of Classes Available to Visit to identify a course/instructor that you are interested in observing. Select a class/debriefing session that fits your schedule and click on the appropriate link in the chart to sign up to visit at that time. On the day of the classroom observation, show up early and bring an observation form for use during the class session. Engage in the debriefing session following the class by asking clarifying questions and sharing reflective thoughts and comments on the class session when appropriate. The debriefing session will be facilitated by the TOP Teacher and will be conducted in a climate appropriate to a community of learners. At the end of the semester, you may be requested to provide feedback about your experience. Due to high request volume, you may be obliged to share an observation time with other observers. Spring 2019 - Registration now closed. Dr. Celine Latulipe teaches and engages in research in the field of Human-Computer Interaction and Computer Science Education at UNC Charlotte. Her research involves developing and evaluating novel interaction techniques, creativity support tools, technologies to support the arts and innovative curriculum and pedagogy for Computer Science. She regularly attends the ACM CHI, UIST, SIGCSE and C&C conferences. Beyond technology, education and art, she is also interested in politics, gender issues, philosophy, behavioral economics, neuroscience, psychology and sociology. Dr. Latulipe received her PhD in Computer Science from the University of Waterloo in 2006. She has a Master of Mathematics in Computer Science and a Bachelor of Arts in Honours Economics and Applied Studies, both from Waterloo. This is a required sophomore class in programming. Students are learning about different data structures such as lists, trees, stacks and graphs, as well as the algorithms used with these structures. There is both a theoretical aspect as well the programming skills aspect. This is taught as a fully flipped, active learning class. During class time students are in teams and participate in peer instruction quizzes and pair programming activities. Students in the course use an interactive textbook as required pre-class prepwork. They also watch videos and take quizzes and tests on a newly adopted adaptive learning platform, RealizeIT. 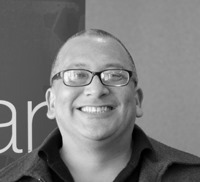 William Garcia is a Lecturer in the Department of Geography and Earth Science. He uses lecture, whole class discussion, and small-room breakout sessions as well as informal group work using think-pair- share and a classroom response system. His teaching philosophy is to divide the course into two weekly lectures and smaller discussion or break-out sections. "In lecture we use a variety of methods to increase student engagement with the course material and each other. This engagement is designed to increase student understanding of foundational content and vocabulary, and to provide simple understanding of concepts and how different concepts relate to one another. Within the smaller break-out sessions students participate in small-group work designed to provide a more detailed and intricate examination of the relationships between concepts." The origin and evolution of the earth's major features: the beginnings and changes of the earth's continents, atmosphere, oceans, and life forms, set in the vast context of geologic time. Life on Earth has been affected by numerous speciation and extinction events that have dramatic impacts on Earth’s biota. Extinction takes on many forms and potential causes. This course explores extinction events throughout Earth’s history, focusing on their processes and causes, as well as examining how scientists test extinction hypotheses. Biology 1115 is the second of a two-semester introduction to Biology for non-science majors. Since these courses are especially designed for non-majors, students are provided with a broad overview of basic biology with emphasis on application to their everyday life. My personal goal is to help my students understand foundations in biology so they can relate to current events in biology and make informed, intelligent decisions. Dr. Pilar Zuber is a Lecturer and the Director of the Bachelor of Science in Public Health (BSPH) program in the Department of Public Health Sciences at UNC Charlotte. She began teaching at UNC Charlotte as a part-time faculty member in 2006, and joined the faculty full-time in 2012. Her approach to teaching is summed up by the simple phrase: take advantage of your education. Her courses utilize a variety of active learning strategies aimed at getting students engaged with the course material with an overall goal of getting students to think of their academic preparation as more than just what they need to know to pass the next test. She enjoys exposing students to both traditional and non-traditional learning materials and encouraging her students to develop a life-long sense of inquiry. 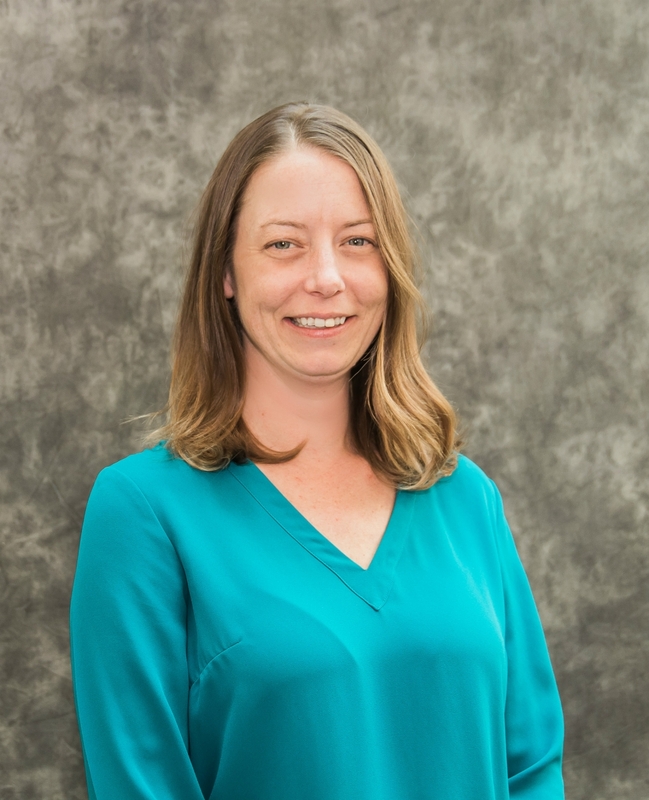 Though her focus is on teaching, she draws from her previous research into Emerging Adulthood and psychosocial factors related to time to degree as her courses primarily serve general education and lower division students. Dr. Zuber earned her PhD in Health Services Research from UNC Charlotte in 2012. She has a Master of Science in Public Health (MSPH) from UNC Charlotte (2006), a Bachelor of Science in Community Health Education from Towson University (2004), and Associate Degrees in General Management and Physical Education Teacher Preparation from Montgomery College (2000). She also holds the Master Certified Health Education Specialist (MCHES) and Certified in Public Health (CPH) Certifications. This class meets the General Education requirement for Culture and Society. This course focuses on the measures of health and quality of life, including the organization of health care systems, cultural and social determinants of health, and ethical issues related to health and health care. The course is taught in a hybrid large-lecture, small group breakout session format. Students are exposed to the major concepts at the beginning of the semester, then apply those concepts to a variety of health topics, "practicing" critical thinking skills throughout the rest of the semester. This class is a requirement for all Pre-Public Health Majors and Public Health Minors. This course is an introduction to the field of public health, including its history, content areas, scope, and paradigms of professional practice. The course is taught face-to-face large-lecture format. Course material is focused on the understanding and application of the breadth of the field of public health. Three-hour class meetings combine lecture with active learning strategies. Dr. Praveen Ramaprabhu is an Associate Professor of Mechanical Engineering & Engineering Sciences at UNC Charlotte, where he heads the Laboratory for Multiscale Computational Fluid Dynamics (LMCFD). Starting with his Ph.D. research at Texas A&M University, Praveen has worked extensively using experiments and careful numerical simulations to advance the understanding of turbulent mixing due to fluid instabilities. 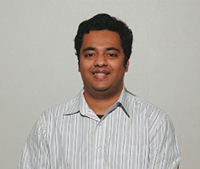 Praveen is a senior member of the American Institute of Aeronautics and Astronautics and an Associate Editor of the ASME Journal of Fluids Engineering. This introductory course covers fundamental topics in the description of ideal and real fluid flow. Topics include fluid statics, conservation principles, Bernoulli's equation, fluid flow in pipe and measurement devices. The objective of the course is to provide students with a broad understanding of a wide range of fluid phenomena, and an appreciation for the associated complexities. Donna Sacco, PhD, is in her second year as a clinical assistant professor in the Department of Special Education and Child Development. She was a Nationally Board Certified special educator in Arlington, Virginia for twelve years before pursuing her PhD at George Mason University, in Fairfax, Virginia. 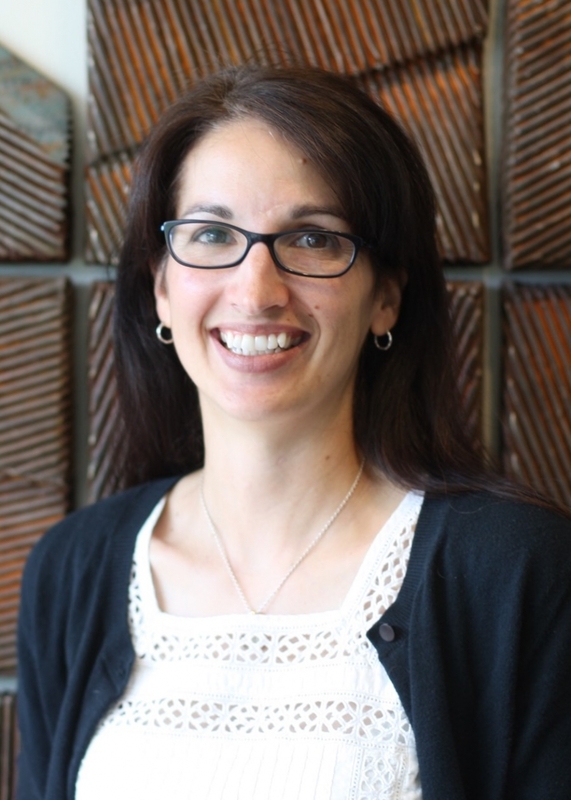 Her research interests are related to culturally and linguistically responsive instructional strategies for teaching students who are dual language learners with exceptional needs. She is actively involved with the Council for Learning Disabilities (CLD) as ell as the Council for Exceptional Children. As a former professional actor and director, she enjoys integrating the arts in education and finds that the interactive classroom aligns with her style of teaching. This course provides preservice teachers in both general and special education with an introduction to learners with disabilities as well as those with academic gifts. This required teacher education course assists future teachers in understanding the nature of disabilities and special gifts, their impact on learning and other life outcomes, and appropriate educational programming. As an increasing number of learners with special needs are served in the regular classroom, all teachers have a responsibility to provide effective educational programs for all students. This course, taught as a co-requisite with EDUC 2100 -- An Introduction to Education and Diversity in Schools, contributes to preservice teachers’ understanding of who the learners are in America’s schools. This early work sets the stage for more advanced work in curriculum and instructional methodology. Dr. Kelly Powers, PhD, RN, CNE is an Assistant Professor in the School of Nursing at UNC Charlotte. She has been a faculty member at UNC Charlotte since 2008 and currently teaches Program Improvement and Evaluation (NURS 6212), Trends and Issues in Nursing Education (NURS 6302), Teaching Practicum in Nursing Education (NURS 6304), and Interprofessional Collaboration in Healthcare (NURS 6090) in the MSN program. She also oversees the BSN students’ final clinical practicum in hospital settings. Dr. Powers’ research is focused on improving family-centered care in high acuity settings and on educational innovations for nursing and other health professions. Prior to joining the faculty at UNC Charlotte, she worked as a Registered Nurse in a variety of settings; including critical care, emergency, neurological, medical/surgical, and rehabilitation settings. Students from the MSN program tracks of nursing education, nursing administration, and community health nursing enroll in this course, which is taught 100% online. It focuses on planning, evaluating, and improving health programs. Includes steps in problem analysis and needs assessment, logistics of program management and implementation, evaluation, quality improvement within systems and community oriented advanced nursing practice. An ongoing case study is utilized to assist student teams to assess a community’s health needs, plan a program to improve health outcomes, and write a proposal to gain funding for implementation of their program. This is an online course. You will receive a course invitation email to add yourself to the Canvas course. You will have two weeks from request to view the course, then follow up with a debrief. Spencer Salas, Ph.D., is Professor in the Department of Middle, Secondary, and K-12 Education at The University of North Carolina at Charlotte where he leads the Ph.D. in Curriculum and Instruction Urban Literacies/TESL sub-concentration. Among the courses he teaches are Globalization and Teacher Leadership. An award-winning District of Columbia Public School ESL teacher (1994-2001), he has been a Fulbright Fellow to Romania (1998), Guatemala (2007), and South Africa (2013); a U.S. Department of State Senior English Language Fellow to Peru (2001-2003); and, a frequent DoS English Language Specialist (2003-present). The ensemble of his scholarship focuses on the New Latino South. This course provides M.Ed. and M.A.T. candidates across secondary content areas (English, Social Studies, ESL, etc.) an opportunity to collaboratively and individually examine the intersection of globalization and education with specific attention to the experiences of children of immigration in North Carolina K-12 communities and the contemporary phenomenon of trans-nationalism. The course is structured as a book club and blends asynchronous small group discussions with synchronous WebEX sessions. TESL 6206 received Quality Matters certification in June 2017. Dean Adams, Associate Dean for Performing Arts in the College of Arts + Architecture, came to UNC Charlotte in 2013. Dean holds an M.F.A in Directing from Florida State University, an M.A. in Communications and Theatre from the University of Maryland, and a B.A. in Drama and English from Tufts University. He is a member of two professional theatrical unions: The Stage Directors and Choreographers Society and Actor’s Equity Association. 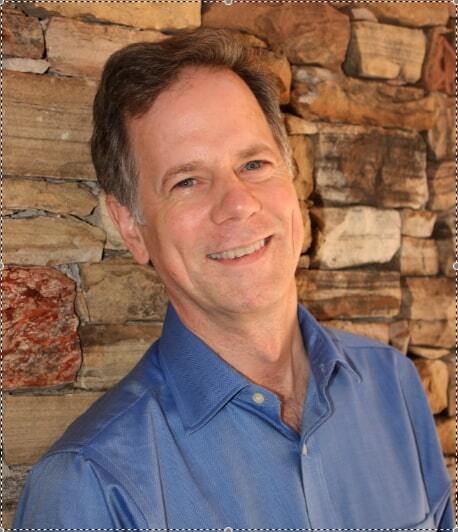 As a master reviewer and UNC Charlotte Faculty Fellow for Quality Matters, he has worked with Distance Education and the Center for Teaching and Learning to promote best practices in creating and teaching online courses. As a researcher, he has presented and published numerous articles focusing on musical theatre history, with a focus on business practices, adaptation, and production. This completely online course is an introduction to the history of musical theatre, which surveys the major shows in musical theater literature, through the study of plots, scores, characters, and songs of the shows. Students explore the genre’s place and function in theater history as both an art form and popular entertainment and its influence on culture in general. The course culminates in student presentations on a focused research question related to musical theatre.